Back in October I was telling you folks about the two Howard Pyle audiobooks that had been released over on LibriVox.org. I had actually meant to tell you about THREE Pyle audiobooks – but I got distracted by something shiny and never finished the post. Well I’m finishing it now! The Merry Adventures Of Robin Hood by Howard Pyle is a public domain book about the original highwayman of Nottinghamshire. First published in 1883 The Merry Adventures of Robin Hood served as the basis for many later adaptations of the story of Robin Hood and his merry band. Robin Hood is the archetypal English folk hero; a courteous, pious and swashbuckling outlaw of the mediæval era who, in modern versions of the legend, is famous for robbing the rich to feed the poor and fighting against injustice and tyranny. He operates with his “seven score” (140 strong) group of fellow outlawed yeomen – named the Merry Men. He and his band are usually associated with Sherwood Forest, Nottinghamshire. The Victorian era generated its own distinct versions of Robin Hood. 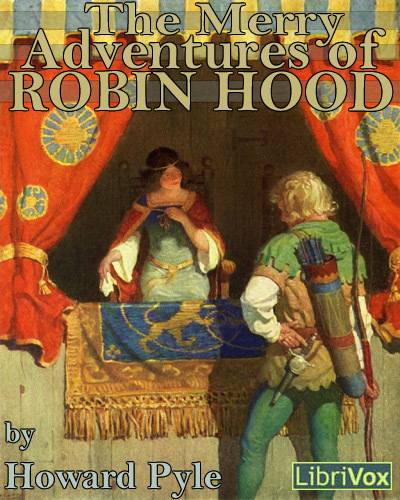 The traditional tales were often adapted for children, most notably in Howard Pyle’s Merry Adventures of Robin Hood. These versions firmly stamp Robin as a staunch philanthropist, a man who takes from the rich to give to the poor. 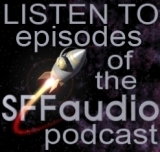 Incidentally, if you’re not a fan of the multiple amateur narrators in this reading, you might want to shell out for the new Blackstone Audio version. It’s read by a single professional narrator. You can get that one |HERE|.